Both Weller and Springsteen have always worn their influences heavily, of course, both of them self-consciously, even pathologically eager to weave their own myth into one strand of their nation’s narrative: blue-collar, male, romantic, principled, unbending. Both have always wanted to simultaneously hug you, punch you, kiss you, infect you, inject you, provoke you, change you, keep you just the way you are. Both have always wanted to make your life better, while reminding you just how crap that life can be. Both have always wanted to make the world different. And both have always stood imperiously apart from that world. It feels, sometimes, like I’ve spent half my life listening to, falling in love with, arguing about, being disappointed by these two. I’ve written about it here before and have no doubt I’ll be haunted by the two of them for the rest of my life. The fact that each has chosen to release a new, self-consciously ‘important’ album just as I’ve turned fifty has felt – narcissistically – like part of some joint process of re-evaluation, re-configuration, re-awakening, re-integration for all three of us. Their strength and weakness is that they care what I think. There’s no denying I experienced something of a long-forgotten soul-charging, heart-thrilling shiver before listening to these two albums, a fierce, teenage tingle made more ecstatic, more shaming and more fearful by its unexpectedness: I haven’t really looked forward to an album by either Weller or Springsteen since my twenties, since the early days of the Style Council and Nebraska. Part of this glorious, surprising spark of excitement was about a rush of hope: that insane desire of the crushed romantic, the eternal, squeezed, suffocating optimism of the Spurs fan. Part of it was an old-man yearn for visceral, adolescent (re-)connection. And part was about shouted-from-the-rooftops declarations (not least from the two artists themselves) that there had been some kind of resurrectionary, post-epiphanic catharsis for them, that they had each – finally – recaptured that 70’s soul, that sonic-poetic essence that made all our lives inhabit – however briefly – beauty and the promise of transcendence. So before listening to these, I’d spent a couple of weeks being told – constantly – that this was a new Weller: idiosyncratic, individualistic, ‘experimental’ and ‘groundbreaking’ (finally) and that this was a rejuvenated Springsteen: collective, polemical, political, raw and uncompromising. Each, apparently, was responding to the passage of years and the destruction of our economy, our culture, our connections in his own way: by fleeing from it into a better, more content future in Weller’s case, by jumping back and reclaiming our shared heritage in Springsteen’s. And while Weller was letting himself roam free, both inside his record collection and outside the solar system, Springsteen was rabble-rousing in the homes and streets of post-credit crunch America. And each was about to step back into my life with something crucial and transformative. Wrecking Ball is all sledgehammer-drums and faded sepia photos. It travels America with a bunch of newly-arrived Irish immigrants, Sam Cooke and a copy of Born In The USA. It shoots, accurately, at The Man with bullets of sarcastic hatred (We Take Care Of Our Own), lobs grenades of desperation-hidden-in-upbeat-melody (Easy Money), leaves quiet, poignant country-folk mines of grief and rage in the path of bankers (the beautiful Jack Of All Trades and We Are Alive). It leaves subtlety at the county line and crosses into dystopia with Woody Guthrie, the ghost of Clarence Clemons and an entire gospel choir squashed in the boot of the car (the despondent, alienated, fire-in-the-belly-nearly-extinguished, muddy and, ultimately, unconvincing Land Of Hope And Dreams, Shackled And Drawn, Death To My Hometown and This Depression). Springsteen’s voice – unaffecting, lacking in intimacy on these – is searing and edgily insinuating on Swallowed Up (In The Belly Of the Whale) and the title track (two of the musically-gentler (and more successful) tracks here) but it’s on the wonderful Rocky Ground where all the goodness and purity of the album coalesces. Here he eases a gentle kind of hip-hop-lite, rap, gospel and a croaking, hurt country into an astonishingly unlikely whole that steps out of the swamp and moves, sinuously, profoundly, wrapping us in a warmth that grabs some of the sludgy, bombastic preaching elsewhere on the album and smothers it in hope and love. 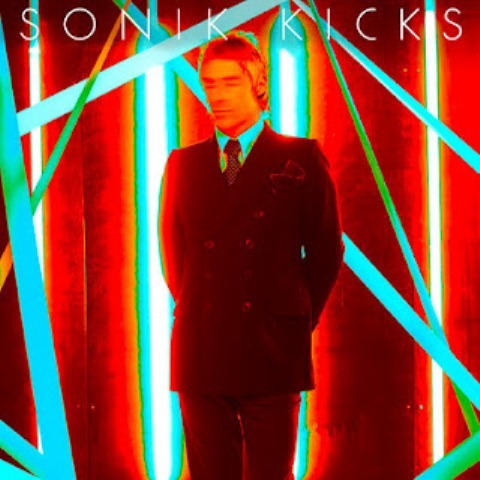 Warmth, hope and love: they’re never going to be naked or exposed on a Weller album but they’re here on Sonik Kicks. 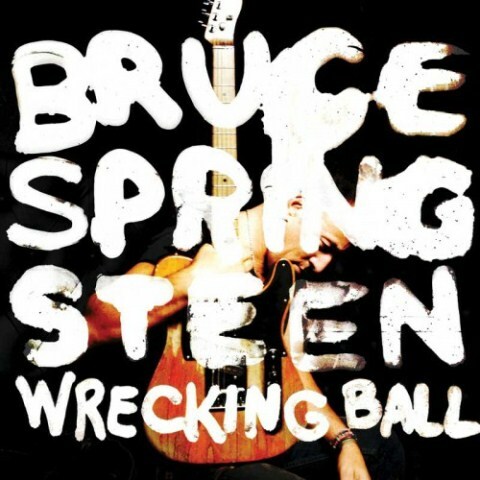 He wants me and you to love him and agree with him as much as Springsteen does, he just hides it better. He does his pastoral/urban hippy/punk by-numbers Kasabiany, Oasisy ‘60’s thing and twists it just enough to make it interesting. He does Krautrock and almost-jazz rambling. He does guitar-squawk and feedback-shriek. It’s never genuinely experimental – and certainly not ‘groundbreaking’- but it’s frequently sweet and strong, rich and textured. There’s no Springsteenesque preaching per se, but the message is clear: music, sound, rhythm, harmony are crucial, can bend us and shape us. Words are sometimes oblique, indistinct here (not necessarily a bad thing with latter-day Weller), their sound more important than their supposed meaning; there’s little of that wet-brown Traffic-influenced blues-trudge we all suffered in the late nineties. The moments of real triumph – the Style Council-becomes-dub Study in Blue, the sweet, lovely Be Happy Children, the raw, 80s-electronica, propulsively insistent Around The Lake– all share a determined willingness to ride the past, trampling on the Godiva-ghosts of some of the clunkier stuff: the ‘difficult’ Drifters and Green, for example, or the lazy, would-be coruscating That Dangerous Age. Yeah: I loved these two albums as I listened to them. I loved them for their self-belief and warmth and compassion and silly, macho need to impress and bludgeon me with sound and word. I loved their ability to laurel-rest and self-reference and take humourless baby-steps into the unknown simultaneously. I loved their ridiculous, old-git passion. I loved their belief in the power of music to wrest our world, our past, our dreams back. I loved the fact that they matter and don’t matter more than the work of most other artists. I loved the fact that they made me grin and cringe and wonder and make me feel seventeen for a while. These are not – cannot be – In The City or All Mod Cons or Born To Run or Nebraska. My love for them, I know, is ephemeral, not permanent: neither is a great album. But there are half-a-dozen moments of exquisite rapture to be had here. And that really isn’t bad for us geriatrics.